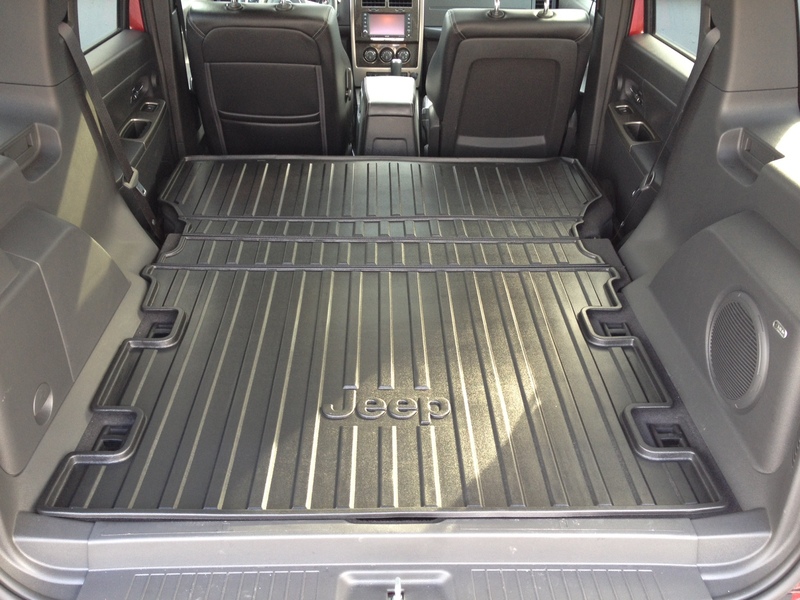 Your Jeep Liberty's cargo area can expand, so why shouldn't your liner? Sometimes you need more space for bigger loads. The 2008-2012 Liberty gives drivers flexibility with passenger seats that can fold down for more space. This Jeep cargo liner is just as flexible - it features seams at the joint of the seats so that it can fold up or down, however you need. It's made from a durable rubber that helps grip cargo to keep it from sliding. And because it's made by Mopar, it will fit the exact spaces of your Liberty snugly, without a slip. At Just for Jeeps, we offer the same Jeep Liberty interior accessories you'll find in showrooms, but without that high sticker price. Our discounts are some of the best on the internet, and our excellent shipping deals help you save even more money. Find out the difference we can make for your active lifestyle, no matter what kind of load you're carrying. Black, liner kit, folding style, heavy-duty (one piece design)with Jeep logo. 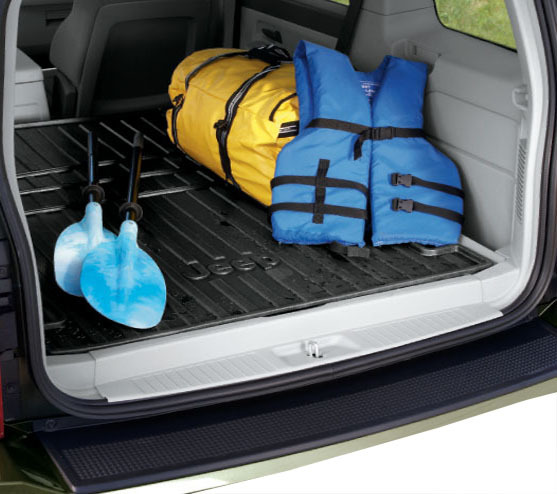 This cargo area cover looks great with seats up or folded down. But, it slides easily and warps under weight ( slides up against tailgate with weight on it, then the ends curl). Best part is the hinge, it allows the mat to be stretched out to the full cargo area with rear seats folded down. Mat needs non-skid surface on the bottom. Looks awesome, fits my Liberty perfect. I had this for a 2012 Liberty. ConsI had to secure the forward end with some screws of my own for it to stay in place. Overall, a necessary item if you haul anything potentially dirty in the back and it's great that it fits the vehicle exactly. However, it was a bit thinner than I was expecting for the price and I don't think it would hold up to really heavy use. For my purposes, hauling mostly dogs and landscaping materials, it should work great. And the surface is like a soft rubber, so when you set a box on it, it doesn't slide when you turn a corner. Love that. ProsFits perfectly, easy to set in place, hinged so it covers entire floor when seats are folded down, rubber surface prevents items from sliding around, Jeep logo looks great, attaches easily to headrests with small bungee cords. ConsOnly comes in black when my interior is gray, does not allow for folding split rear seat, not as sturdy/lighter weight than I was expecting, scratches incredibly easy.